USArchive & Imaging Services, Inc. (USArchive) is a document management company that specializes in the conversion of government and commercial company records to digital media for improved security and easier access to information. Established in 2003, our experience, along with a strong alliance network, allows USArchive to consult and perform in all types of document management applications. USArchive has become the Trusted Document Management Company and leader in digital conversion services for local government and businesses. We have a proven track record with a wide assortment of government agencies delivering required products and services on time and within budgets. Learn more about the inner workings and mechanics of our attested organization. USArchive is a Veteran Owned Small Business located in Issaquah Washington. Our document management company has had the opportunity to serve the Seattle area and nationwide businesses and government agencies for nearly 10 years. Our team’s leaders consist of several industry experienced individuals all with proven track records within their area of expertise. Explore the details of our organization’s members, humble beginnings, and growth to a recognized leader in the the document management industry. Throughout our company’s history USArchive has had the opportunity to cultivate several unique partnerships with recognized organizations and brands to further improve our document management services. Some of these joint ventures include relationships with Kodak, Spring CM, Connect Supply Chain, and the eight member non profit consortium eDocAbilities. Discover the details of these alliances and companies. USArchive has had the privilege to works with government agencies of all levels and commercial businesses in various industries. 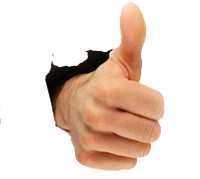 Our personal approach has allowed us to obtain extensive positive feedback from our clients. Find out why USArchive has become a trusted provider of document management services and what our outstanding clients have to say about us. USArchive operates out of several locations in the Greater Eastside. We take pride in being available to our customers. 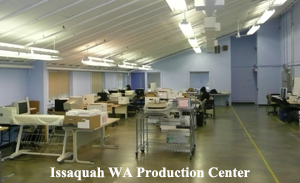 Our production center is located in Issaquah at the AtWork! operations building. We have several ways to contact us along with detailed driving directions to our facility. Do you have any questions for USArchive? We take the time to answer any questions that may arise. We also explain a few industry terms and ideas so that everyone is on the same page. Thousands of veterans have difficulty finding meaningful employment when they leave military life. The Veterans Health IT Registered Apprenticeship Program is designed to be one pathway for these veterans to reintegrate into productive working life after military service.